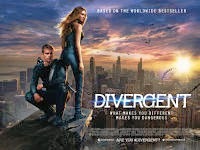 Divergent grossed $165,000 at a limited release of 106 screens in India. or Rs 99 Lakhs gross. This made it number 3 amongst hollywood movies in India this weekend behind Rio 2 and Captain America but it also had a limited release with low number of shows. This is very poor for a english movie in India but in India only english movies doing well are sequels or action movies with the exception being movies like gravity and hangover series. Worldwide divergent has already grossed $175 Million.